Go Greased Lightning! Go Greased Lightning! Join the exclusive tough club of Rydell High—the T-Birds! When you're given this "leather" jacket, you know you've made it. With their slick hair, no-care attitude and a penchant for drag racing, the T-Birds get noticed by everyone around. Their affiliation with the Pink Ladies makes them even more popular. This black motorcycle-style jacket features the gang's logo on the back so everyone knows who you belong to. 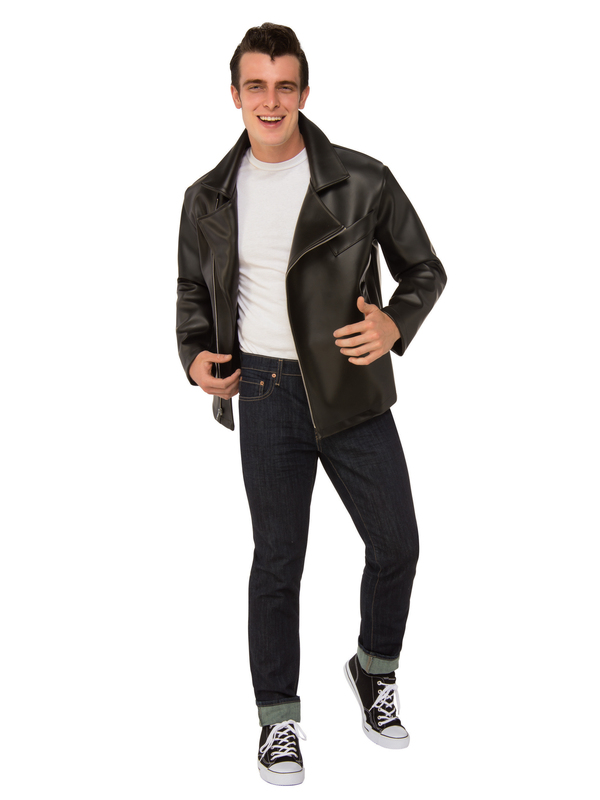 Don this jacket with jeans, a white tee and sneakers for an authentic 50s-era look. Great for costume parties, Halloween, themed birthday or a sock hop.